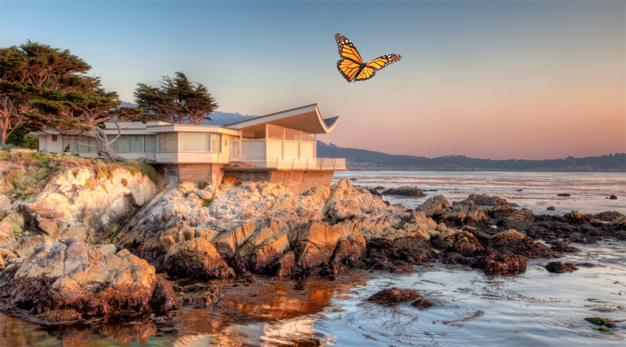 A recent photo of Frank Wynkoop's 1950 design whose gentle butterfly leans dramatically over the Carmel, California shoreline. Suddenly, like a flight of butterflies alighting on a eucalyptus tree, they arrived, houses with jaunty, V-shaped roofs. They were custom houses at first, in wealthy suburbs in the East and along rocky shorelines in California. But by the mid-1950s houses with butterfly roofs were popping up in suburban tracts across the country, especially in Southern California. Today, houses with butterfly roofs are hot. 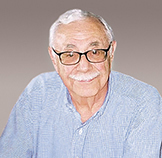 In Palm Springs, which has the greatest concentration, they are among the most eagerly sought, says Los Angeles architect Bill Krisel, the man who brought the butterfly roof to the masses in the 1950s, and probably designed more of them than anyone else in America. 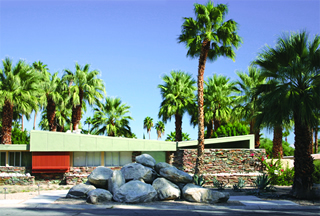 Architect William Krisel (above) of Palmer & Krisel brought many prime examples of butterfly roofs (including this stunning one - top) to Palm Springs via the Alexander Construction Co. beginning in the mid-1950s. Over the past decade, after falling out of fashion by the 1970s, the butterflies have been winging their way back onto the drawing boards, with architect after architect turning out new versions—from Michelle Kaufmann, who roofed her prefabricated Sunset Breezehouse with butterfly wings, to the Pritzker Prize-winning Australian architect Glen Murcutt, who prefers his butterfly wings to curve. You’ll find butterfly-roofed homes of recent vintage in the Berkeley Hills, Manhattan Beach, Tucson, and Decatur, Georgia. In Palm Springs, a line of prefabricated butterfly-roofed homes designed several years ago by Krisel is still being built for individual clients. In Los Angeles, one doting husband gave his wife the gift of a butterfly-roofed tree house. Butterfly wings have sprouted as well atop stores, offices, and a YMCA in Florida. Mysterious indeed, this recent migration of butterflies. But where do they come from? And, having spent so many years morphing inside their chrysalises, why now have the butterflies returned?